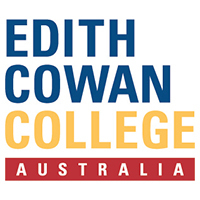 Edith Cowan College (ECC) is the on-campus pathway option into Edith Cowan University (ECU) for students who may not qualify for direct entry into a degree program and are looking for a supportive learning environment to ensure students are well prepared to enter university with confidence. For over 24 years we have successfully bridged the academic and English gap for over 9,000 students to help them achieve their goal of becoming an ECU graduate and look forward to great employment prospects. ECC’s Diploma programs are equivalent to the first year of the respective bachelor degree at ECU and follows the same units prescribed by the university; however students will study in smaller classes with more interaction with their lecturers. Following successful completion of the ECC diploma program students are eligible for entry into the second year* of the bachelor degree at ECU. A trimester system allows students to fast-track their studies and complete most courses in eight months. Contact Edith Cowan College NOW!